On the comeback trail from from a severe hamstring tendon injury, Mellington impressed at the start of 2012 and will probably be given another opportunity in 2013. His early season WAFL form at West Perth has been very impressive. Josh Mellington began 2012 impressively, playing an important role as a small forward in the first three games. He kicked three goals in round 1 against Geelong and tackled with enthusiasm when he didn’t have possession of the ball. A major hamstring injury ruined his season and he didn’t play another senior game, however, Mellington showed enough to suggest he can get back out there in 2013 and be relevant again in Freo’s forward line. Mellington did some good things in his two appearances for Fremantle in 2011. After debuting with 11 disposals against the Brisbane Lions in round 14, he came on as a sub the following week and kicked a nice goal. 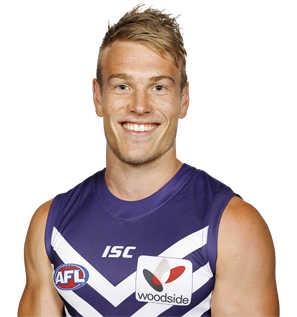 Although it was only over two games, Mellington did top Freo for overall disposal effiency (81.2%) in 2011. He will look to continue to build on his game and hopefully play a more significant role in 2012 and beyond.